The new document of the Bioethics and Law Observatory (OBD) of the University of Barcelona is dedicated to human gene-editing, particularly focused on the CRISPR technique, which allows modifying in a simple and efficient way the gene pool and gives the chance to decide on the characteristics of our specie’s descendants. This subject is creating important worries, even the known “mortal panic”. The OBD document provides elements for reflection and gives specific advice from the perspectives that are thought to be “more appropriate according to current knowledge”. The use of CRISPR technique (clustered regularly interspaced short palindromic repeats/cas9) has increased its use among the scientific community over the last four years. The journal Nature, for example, dedicated this year’s March cover to the successful CRISPR system among researchers and the biotechnological industry. The OBD document states that this technique shows a difference compared to previous systems because it has a higher specificity (capacity to induce modifications in specific parts of the gene), efficiency, accessibility (it is quite easy to be applied) and versatility. Unlike other previous situations, such as in recombinant DNA researches carried out in the seventies –which required important resources-, CRISPR is an affordable technique for all science laboratories worldwide. In fact, the uses of this technique are known in Chinese centers, applied on non-viable human embryos or more recently, the beginning of clinical trials on humans with diseases such as lung cancer. According to the document, these technical advances would allow the “control and improvement of gene pools in human beings” and “redirect the evolution through pre-fixed paths of artificial selection which were unknown until now”. Here is where some questions come up, such as if it is right to modify the human germinal line -if by using this we can avoid hereditary disease transmission- or if it is always blameable to take part in it for the long term consequences are unknown. When facing this complex reality, OBD opts for following “the aim of precaution and strategy case per case and step by step”. The document of the Observatory differentiates between different possibilities of gene-editing applied on human beings. First, there would be the use of this technique on somatic cells (that is, all cells in the body except for germinal cells, which intervene in reproduction). This is already being carried out in cell culture for basic research, such as gene therapy on patients. Second, it is important to think about gene-editing in embryos, embryonic cells or human germinal cells, currently applied in basic research only. Last, we would have to think of the application of these techniques with the aim of “improving” the human species (biological enhancement). According to this typology, the OBD document proposes: allowing the use of gene-editing in basic research; approving the therapeutic use in somatic cells and assessing the possibility of approving germinal therapy for certain cases. It also defends the idea of stopping sine die the use of gene therapy for the improvement of human species. The report suggests analyzing and revising the current regulation in all levels, from penal code to assisted human reproduction law and the law on biomedical research. It also mentions that the decisions on human gene-editing “cannot be in the hands of the economic and financial fields, but have to be guided for the idea of common good and improvement of life quality”. In this sense, it is critical with the current patent policy and the “privatization process of gene information”. It also mentions the possible conflicts on interests “between the role of the scientists as researchers and as entrepreneurs that would aim to spread the benefits under a strict market logic”. On the other hand, among the recommendations, the paper says that it is necessary to have a current training for the members of committees on ethics and guarantee circuits, as well as the elaboration of new assessing procedures. Lastly, it calls the media and people to get involved in a debate in which “the bioethical, political and scientific speech is surrounded by unreliability and fear, it lies between care and lasseiz faire and the beginning of precaution and the needs of the powerful biotechnological industry”. 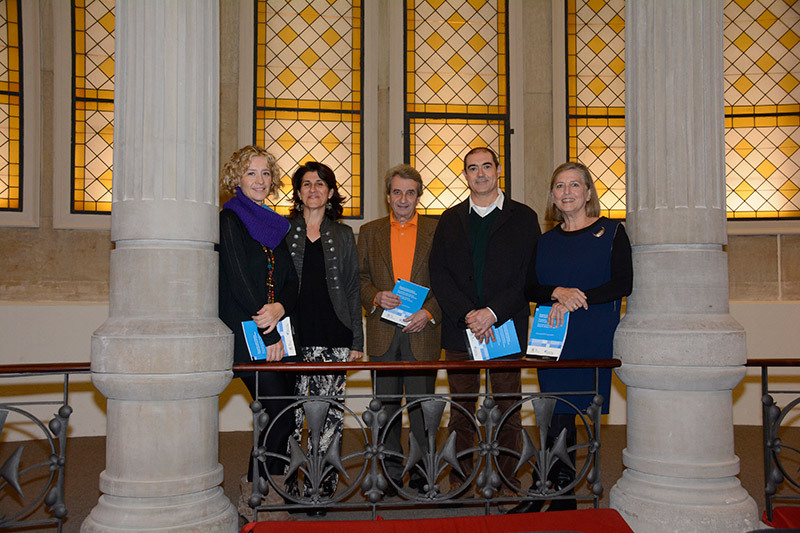 The elaboration of this report has been done by Josep Santaló and Maria Casado, with contributions from Montserrat Boada, Mirentxu Corcoy, Itziar de Lecuona, Manuel López, Gemma Marfany and Albert Royes. Also, the Opinion Group of the OBD published several documents on different subjects, among which there are ethical, juridical and social implications of human assisted reproduction. Some of the treated subjects were the embryo donation for research (2000), donation of oocytes for human reproduction (2002), obtaining of embryonic stem cells (2002), freezing of oocytes (2002) and gender selection (2003). Regarding previous minority theses, the work of the Bioethics and Law Observatory had an important regulation impact, according to the assisted reproduction Law (2006) and the biomedical research Law (2007) of the mentioned documents. The Bioethics and Law Observatory of the UB offers a way of working with bioethics which is based on a flexible and multidisciplinary idea, respecting human rights, aiming to provide reasons to promote the autonomy of the people when taking decisions and to contribute to create a more transparent and democratic society.